Tens of thousands of nationalist demonstrators marched down the streets of Warsaw, during Poland’s Independence Day celebrations on Saturday. According to police estimates, 60,000 people took part in the gathering. 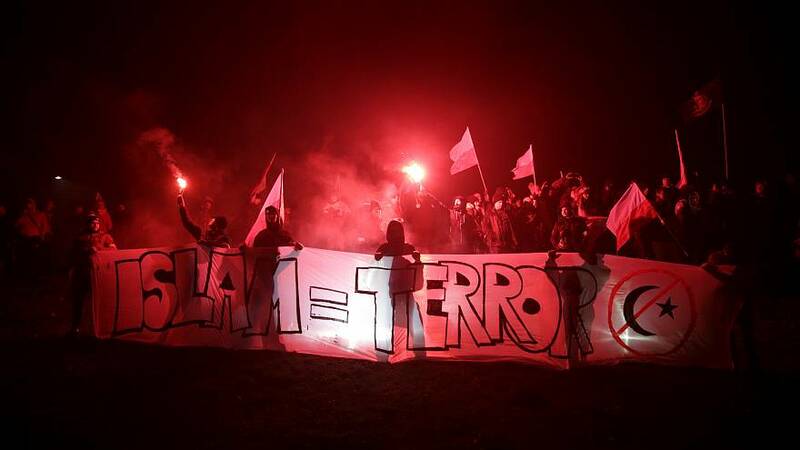 Demonstrators were heard chanting “Death to enemies of the homeland”, “Catholic Poland, not secular” and “Pure Poland, white Poland!” as they waved Polish flags and lit red flares. The main organisers behind the march are National-Radical Camp, the National Movement and the All Polish Youth. State broadcaster TVP, called the demonstration a “great march of patriots,” describing the event as an expression of love for Poland. “We are proud that so many Poles have decided to take part in a celebration connected to the Independence Day holiday,” he added. A smaller anti-fascist demonstration also took place in the Polish capital on Saturday, standing “together against racism”. This year’s November 11 marks the 99th anniversary of Polish independence from Russian, Prussian and Austrian control.